Whats that you say? More applications at Worlds Best App? You may remember a few days ago we posted about Microsoft's Worlds Best Application competition. Some people may have won the bonus prizes but the competition is not over! This week we see the addition of seven new activities. First on the games front is Scissor Stone Paper. Most people will know this classic game where you must choose either Rock, Paper or Scissors, each of which is stronger or weaker against the other weapons (UPDATE: Also check out our emoticons version of this popular game). Next is Memory, a card game where you must flip over cards in a grid and remember the locations of different picture cards. The next game is Flip it!. In this game a card is drawn from the pack and players take it in turns to guess whether the next card is going to be higher or lower, first to ten correct guesses wins. Note: Ace is low! Played Memory and found it too easy? Well, how about giving Memory with numbers a go. This activity follows the same routine as Memory but instead of pictures there are numbers. Finally there is Buzzword Bingo. In this game you must 'check off the over-used words faster than long-winded speakers can dish them out'. Next we have the non-games. "Originating in Japan in its current form, Sudoku consists of a 9x9 grid, further divided into a 3x3 subgrid with a few numbers thrown in. The challenge? Fill each of the blank boxes in the rows, columns and 3x3 squares with digits from one to nine without repeating a single digit." Finally we have Earthquakes, Past 7 Days. This activity shows an interactive map of the world showing the last week's earthquakes using data from the United States Geological Survey. For those of you still developing applications or who haven’t started yet you still have more than a month left to finish, so keep them coming! Following on from all the news and pretty pictures of Windows Live Messenger 8 we're sure you want to give it a try yourself. Maybe you have already tried and were given an error on attempting to sign in. Well, here is how to get Windows Live Messenger 8 to work for you! First download a copy of WLM 8. NOTE: This download is NOT a final version, let alone a BETA version (it hasnt been released yet), so there are still bugs present in it and no features in it are definate for a final version. After installing Windows Live Messenger 8 you will find that you are unable to sign in. The workaround available for this is available here. Make sure this application is running by checking if there is a red or green circle in your system tray with the numbers “13″ in it after installation. 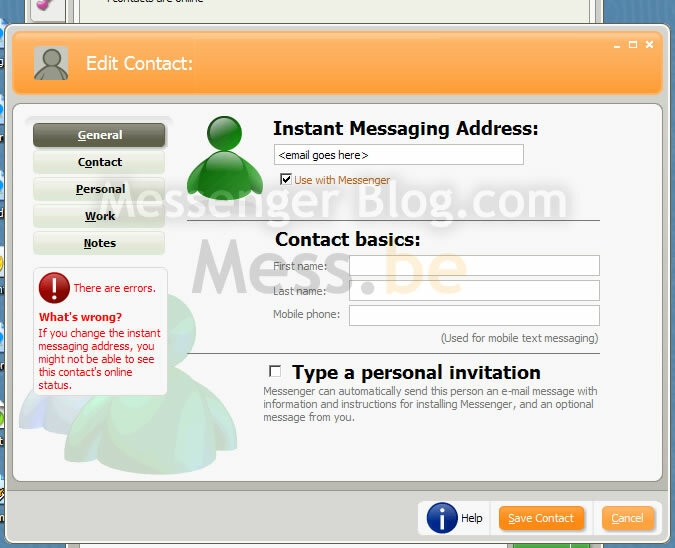 After this has been done, simply start Windows Live Messenger 8 and sign in, you should now be able to log in! NOTE: The Adverts supplied in this patch are not affiliated with microsoft. 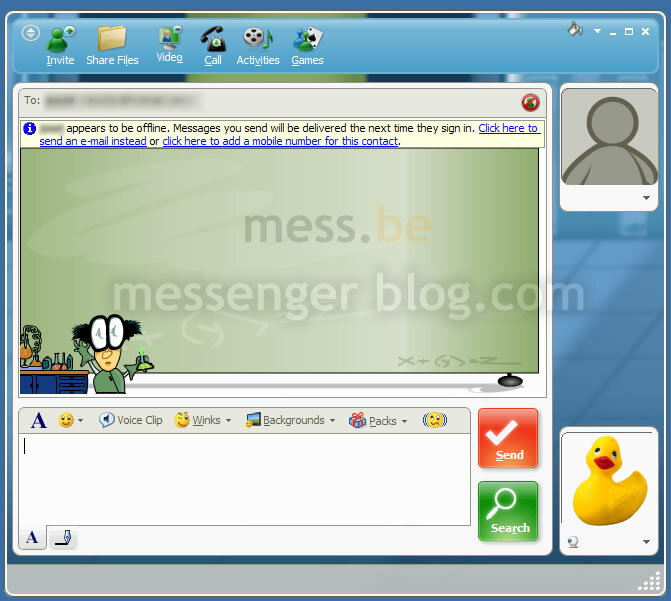 Our big friends at messenger blog got their hands on the Windows Live Messenger 8 beta, and shared two exclusive screenshots with us. 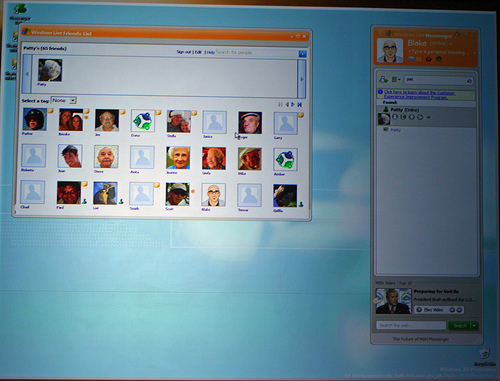 Hot: A first look at Windows Live Messenger! 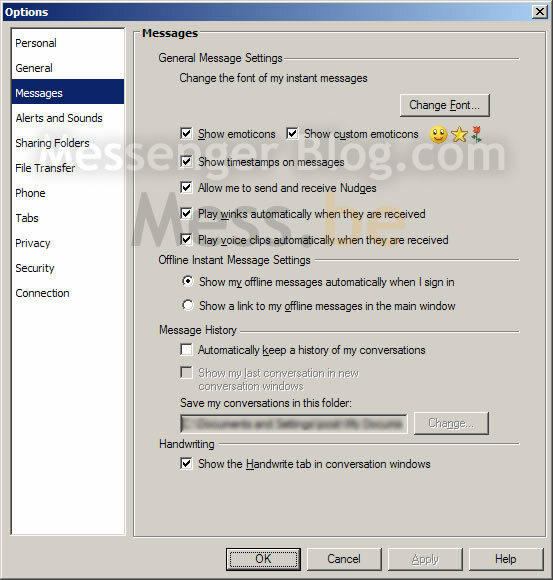 Earlier we announced the change Microsoft is about to make to MSN Messenger - Windows Live Messenger to version 8, and showed you some of the new features that will be present there. Well, it seems that some pictures of the new interface have been leaked to the internet from a demo that Bill Gates did earlier. These screenshots show a similar designed interface in terms of you still have a list of contacts, your friendly name, personal message and display picture at the top, but there are fundamental differences to the design of the elements, as well as a few new ones. For example in this screenshot there is now a Top 10 list from MSN Videos just above the Search box, and there is now a 'Friends List' dialog. 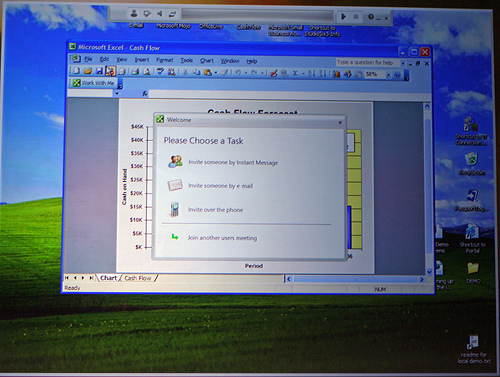 In another screenshot here we can see intergration with Microsoft Office 2003 in a similar way to the old application NetMeeting, as well as a seemingly related bar at the top of the screen. 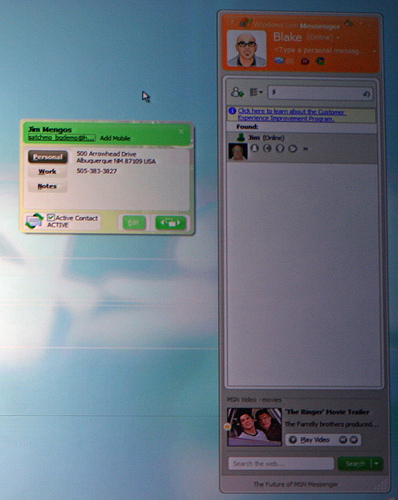 Another screenshot shows intergration between Windows Live Messenger and a Map system, supposedly showing the possibilities with Voice calling to a local resteraunt. 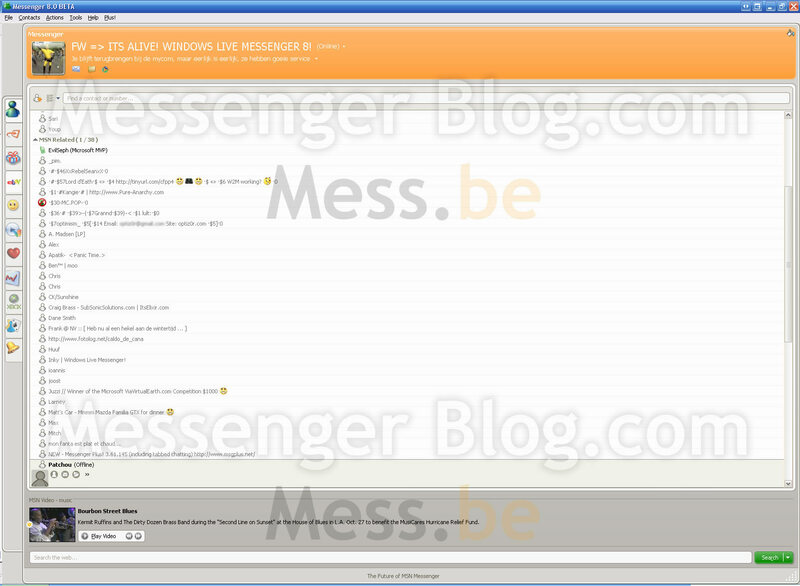 The final screenshot shows a much clearer view of the Windows Live Messenger interface. Want to discuss the new interface? Why not check out the topic on the forum. This feature will let users who sign up for Windows Live phone call (provided by a Microsoft partner) to easily call landline and mobile phones. 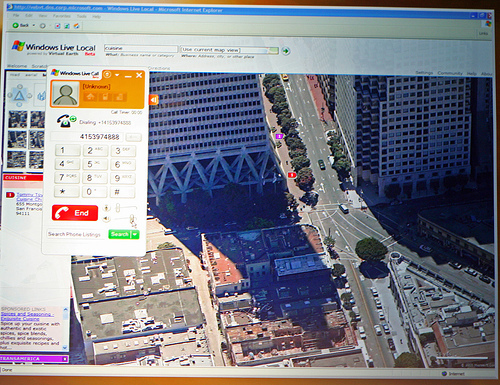 You will be able to set up a Windows Live phone call account through the Messenger interface and start making calls within minutes. You will be able to purchase minutes upfront, then add minutes when your balance runs low. One of the great things about this will be the affordable domestic and international calls you will be able to make. You will still be able to make PC-to-PC calls for free, with no need to sign up for Windows Live phone call account, so long as you and your Messenger contact both have compatible speakers and microphones (or headsets). The Sharing Folder will be easier than e-mail for sharing photos and documents. In a Sharing Folder, any time a file in the folder is added, modified, or deleted, those changes will be synchronized with the person you’re sharing with. The Sharing File icon in Messenger will also show you a gleam on a contact so you will know when a Sharing File has been updated. And it’s a simple drag-and-drop to share files, even simpler than the “send file” and “save as” functions you are already familiar with in Messenger. The Sharing Folders will work pretty much like the PC folder experience you already know, so it will make sense right away. Just like in Windows, you will be able to drag-and-drop, get different views of files, copy, paste, etc. You will be able to access a Sharing Folder from your desktop, to manage files whether online or offline. And a Sharing Folder requires virtually zero setup or configuration, and efficiently handles file synchronization without any fuss. Yes, you did not misread the title, MSN Messenger is no more! 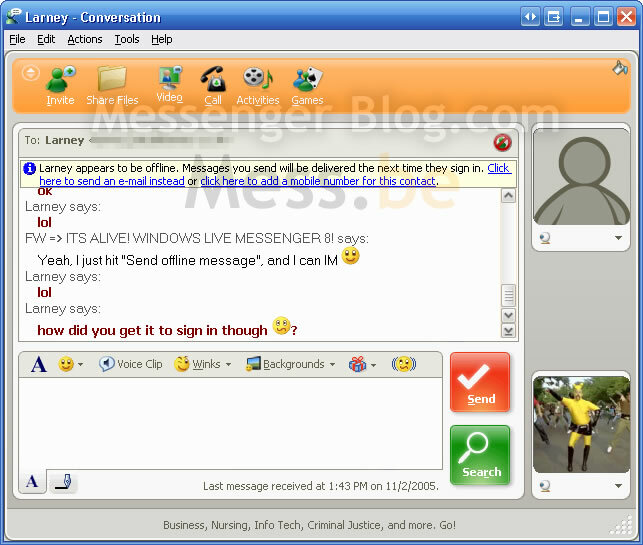 The next version of MSN Messenger will no longer be called MSN Messenger 8 but will go under the name Windows Live Messenger 8. To make a very long story short, Microsoft is re-branding its major sections. 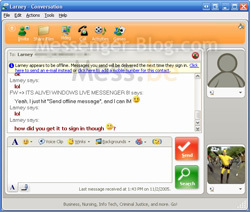 On one side you will have the MSN section, and the other hand you will have the Live section, consisting out of Office Live, Mail (previously hotmail) and Windows Live Messenger. Apart from the name change the butterfly will retire, and the new client is going to be even more integrated with Mail, Search, Media Player and Office. The user interface is also getting a make-over and is going to be much like the new mail look. We will keep you up to date on any more wicked changes. Thanks to a lot of people for reporting this. There is no such thing as an MSN Messenger 8 Beta available yet! If you download one of these fake versions from the Internet you probably wind up with a skinned Spanish Messenger 7.5, a Chinese Messenger 7.0 or a virus that wipes out your hard drive. Trust me, you don't want those (unless you're a Spanish-speaking Chinese sadomasochist). If the real beta does show up you will be the first to read it over here at Mess.be. Suffering from identity problems since you have been bit by that werewolf next door? Consult our Encyclopedia of Name Meanings. Found a perfect name and consulted our wise encyclopedia about your identity? Its time to get a visual disguise too with our ghostly display pictures and undead emoticons. If you did not sign up: tough luck buddy. I found something that definitively eliminates that possibility: on the blog of the French MSN team, they clearly say that this will take place during Summer 2006. Because the beta test of MSN Messenger 8 is scheduled for next month, this could only mean two things: it will be a long beta that goes on for more then half a year, or this feature will just be added in another version (8.1 anyone?). After launching world’s first job search for MSN Messenger, “De Volkskrant” one of the biggest newspapers in the Netherlands is launching world's first official newsbot. The bot provides the user 10 minutes after they log in with the latest news. It also features articles, a news archive and news videos.